BMW 2018 Navigation Map Updates. If your vehicle is supplied with Move navigation we can update your vehicles sat nav maps to the latest 2018 version and supply a valid FSC activation code to activate the software. Digital Road Map Update Europe NEXT 2018-1 – Navigation Map Update for NBT Professional units – We can update the mapping software as well as providing the relevant FSC activation code. Digital Road Map Update Europe (West) Premium 2018-1 – Navigation Map Update for BMW Professional CIC units – We can update the mapping software as well as providing the relevant FSC activation code. Digital Road Map Update Europe (West) Motion 2017-2 – Navigation Map Update – For smaller screen Business Navigation vehicles – We can update the mapping software as well as providing the relevant FSC activation code. Digital Road Map Update Europe Move 2018-1 – Navigation Map Update – For smaller screen Business Navigation vehicles – We can update the mapping software as well as providing the relevant FSC activation code. Is your vehicle ready for USB updates? These map data updates require the vehicle to be capable of map updates via inbuilt USB port. Earlier vehicles require a software update of the main navigation system firmware to activate the use of USB software updates. 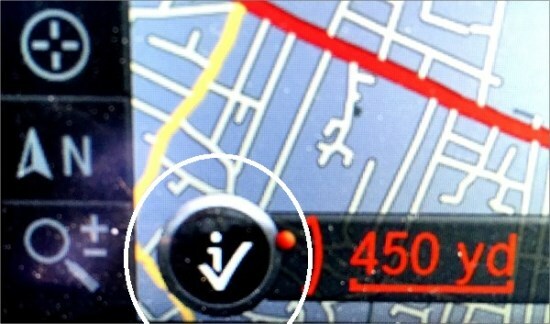 The quickest way to identify if your vehicle requires an update is to load your iDrive into any map screen. If you have the box ticked in the bottom left hand corner your vehicle is ready for a USB updates. If your box is plain black then a firmware update is required. If your vehicle requires a firmware update to activate the USB update facility then we can preform this update if required. The cost of updating the vehicle to the latest BMW software version is £99.60 + VAT.